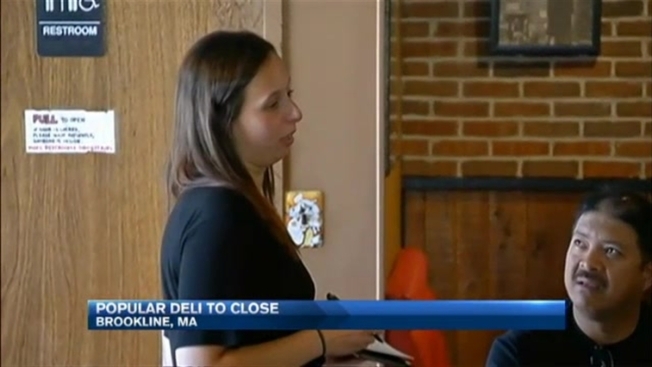 A popular deli in Brookline, Massachusetts, that has been around for nearly 90 years is closing its doors. Rubin's Kosher Restaurant & Catering owners Erica and Allen Gellerman announced Thursday on Facebook that they would be closing for good on Friday afternoon. "It is with a heavy heart we have to announce that sadly Rubins will be closign its doors Friday August 5 at 3pm," the Facebook message said. "We will miss our loyal customers and we want to thank you for being such good friends for us." The Gellermans have operated the kosher deli at 500 Harvard St. for two decades. But the restaurant originally opened way back in 1927, according to Boston Eater. The move was sudden, and the Brookline community reacted with a mixture of shock and sadness on the restaurant's Facebook page. "Wow. End of an era," said Gil Bloom. "So sad to hear," added Debbie Neiman Steiner. "Wishing you all the very best." "I am heartbroken," Susan Hornstein said.